Hoi An is a UNESCO World Heritage Site in central Vietnam that offers a curious combination of colonial France coupled with Oriental charm. 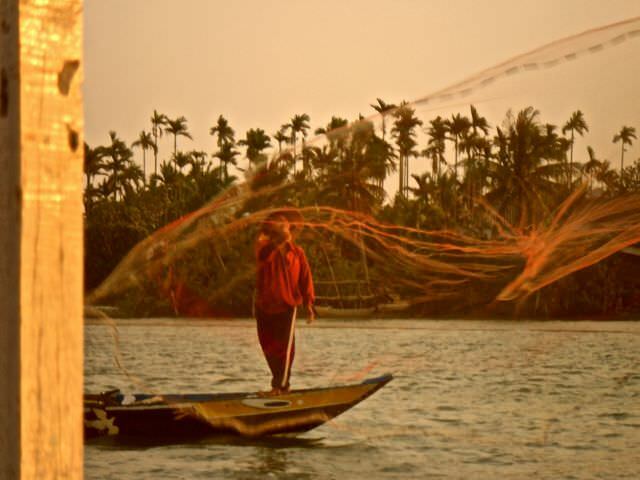 However, Hoi An’s UNESCO status is not the only reason this beautiful location is pinned to the travel map. 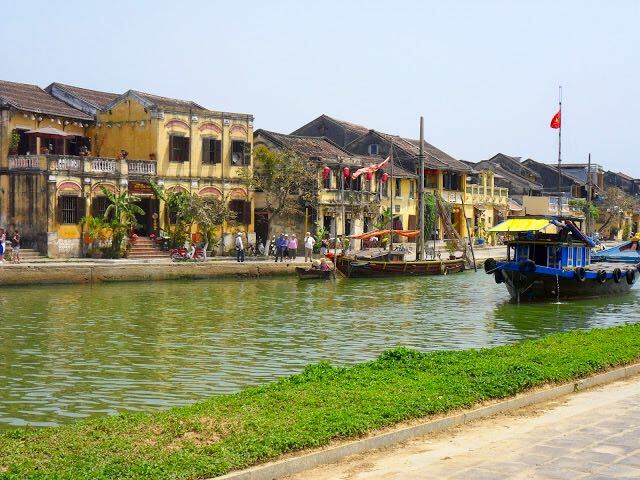 Once a major port on the silk route the town’s perfectly preserved 15th century trading past continues to thrive today as the tailors in Hoi An utilise their magic to produce excellent quality clothes at bargain prices for the seemingly endless passing trade. 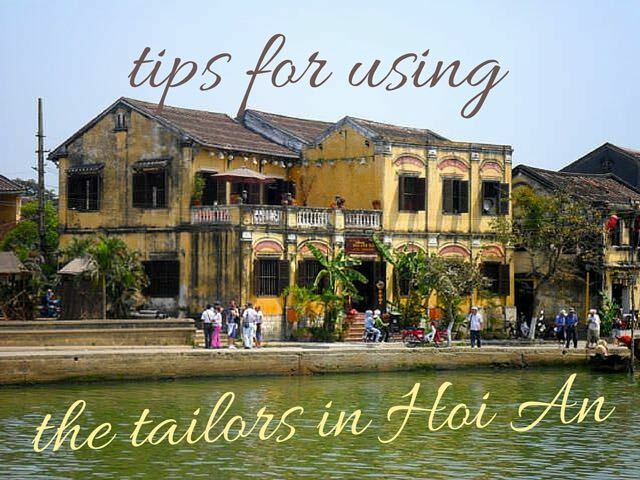 With two visit under my belt, one in 2010 and another this month, here are my tips for making the most of the tailors in Hoi An. Unless you’re specifically travelling to Hoi An to shop, most people tend to set aside a couple of nights’ stop in the town on their South-North/North-South route through Vietnam. While getting clothes tailored during such a short stay is technically possible, you are better allowing longer. I’ve had eight items made by the tailors in Hoi An and what that has taught me is that the clothes never come out perfect first time. To get the most out of the tailoring process you need enough time for multiple fittings. In my experience, the magic number is three fittings, ideally across three days (two as an absolute minimum). If you do have only two nights to play with, I would suggest ordering your items as soon as you arrive. Have the first fitting the next day (thought see my point below about overnight work) with a second fitting that evening and a final fitting early the following day before you leave. If you’re up on the latest fashion, this probably doesn’t apply to you, but seeing as I last read a fashion mag when I last had a regular income (circa 2010), I am a little behind the times. That’s fine if you’re looking for classic items or don’t care much about trends (I probably fall into this latter category), but if you’re looking to have something that is current, you should do your research before you go shopping. While some of the tailors will have designs that are bang up to the minute, many were still toting the same designs I saw three years ago meaning you can’t necessarily rely on the tailor’s display items to be on trend. I’m using a travel friend as an example here. Armed with pictures of exactly what she wanted, her tailor promised that the dream dress would be hers. However, she found the end result disappointing. Not only was the material not quite right, something that’s not easily depicted in an image, falling in love with a picture (and how it looks on a size 6 model) is a recipe for dissatisfaction if you’re not shaped the same as the aforementioned model or of a similar size and shape. Personally I thought the dress looked nice, but it was a healthy reminder that tailors only make the dress, if it’s not a cut you’re comfortable in, they can’t fix that. It’s also worth realizing that magazines have a wealth of tricks and tools to make a dress or suit look better than it is – from double-sided sticky tape used to smooth seams or pinning and clamping to keep materials in place, still images can create an illusion that is not always possible in real life. If your tailor tells you that a look can’t be achieved with the cut and material you’ve chosen, you’d be wise to believe her. One of the dresses I ordered this time round is not quite right because of the material. To achieve the floaty feel I was after, I really should have picked a cotton that was a little softer and more able to move compared to the stiff shirt effect I have going on. The reality is that it’s easy to get sucked in by patterns when we graze through the endless reams of material on offer, but ultimately it is the material that will make the item fall or not fall as intended. Feel with your hands, then look with your eyes is probably the best advice and don’t forget to hold a large swatch of the material against you to check it flows right and doesn’t clash with your tone. Another travel friend with self-confessed OCD managed to order two dresses she was very happy with (once the tailor had pointed out how pictures can lie). However, she made all the right moves –researched dress styles online and spent a long time with the tailor drawing out exactly what she wanted down to the last detail. Planning your trip: I used the Vietnam Lonely Planet Guidebook. Although it’s not filled with pictures, it’s got all the details you need including train and bus routes and times as well as local maps. If you prefer something more visual, check out the DK Eyewitness Guide for Vietnam which has great their images and 3D guides to major sites. If you’re taking a more substantial trip through Asia, the Lonely Planet Southeast Asia on a Shoestring will be invaluable. It’s tempting to go bold when you’re going to the effort of having something custom-made, but sometimes starting with a cut that already works is the best basis for satisfaction. Using the general shape of an existing item or blending a few details together may end up producing better results. I think guys are overall better at this. While I was at one of my fittings a man came in and ordered an exact replica of an existing white shirt but with a bolder print meaning the item will ultimately look very different, yet with a cut he is confident with. Of all the items you can order in Hoi An, I would say this advice probably applies most to office wear. I saw one suit that looked good on the hanger but when it was worn the crotch sat very low and the waist very high – not a flattering look. In the sweating heat of Hoi An’s permanently warm weather, it’s easy to get carried away with floaty dresses and short sleeve shirts, but if you live in colder climes, consider branching out beyond summer. Some of the winter coats looked to be of excellent quality with good, modern designs and a range of materials to choose from. 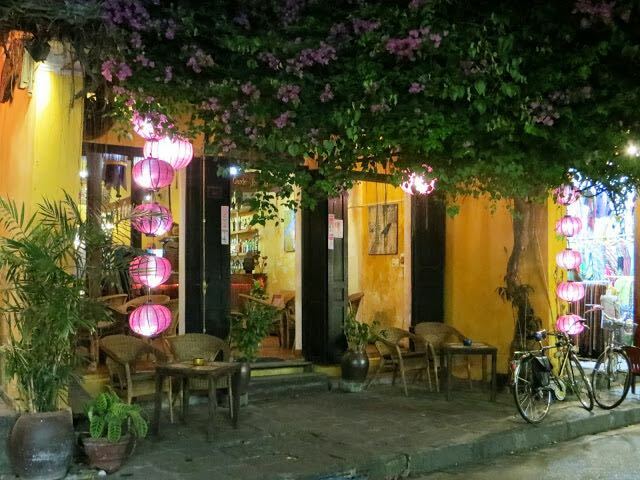 On a budget: Sunflower Hotel Hoi An is a popular choice located between the old town and the beach and most of the city’s backpackers tend to congregate there. Otherwise, there is a wealth of choice on Hostelworld including both hostels, guest houses and hotels if you want to locate yourself in the city centre. For hotels: Here’s a list of the 10 best hotels in Hoi An (according to Trip Advisor) with Nam Hai Hoi An and Essence Hoi An Hotel and Spa both winning the Travelers’ Choice Award. 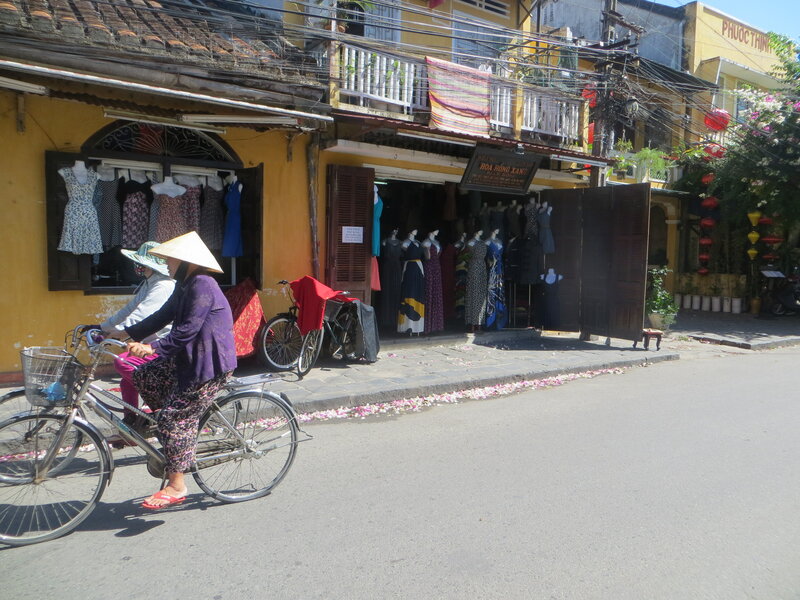 Perhaps the most difficult task in Hoi An is picking a shop. I know I had quite a job choosing between them, particularly this visit when there seem to be more shops than ever. Trip Advisor and the like is a safe(ish) starting point. However, the tailors of Hoi An are astute and a good set of reviews online (and likewise mention in guidebooks like Lonely Planet and Routard) will almost certainly be reflected in the price. Plus, at the end of the day, a review is only that – unless you can get up close and scrutinize the work and understand the price, you only have a stranger’s word for it. 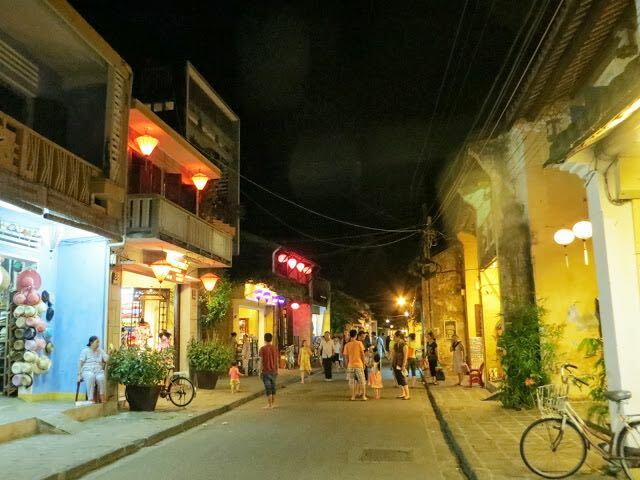 My advice – wander the streets of Hoi An. Check fashion books in the store and speak to the tailors. Some will click and some will feel overbearing and some simply won’t have what you’re looking for be it quality, price or material. Not all tailors are cut from the same cloth with price and quality being key distinguishing points. I know someone who paid $285 for three knee-length dresses (none of them were silk) while I paid $80 for two knee-length skirts and two knee-length dresses. 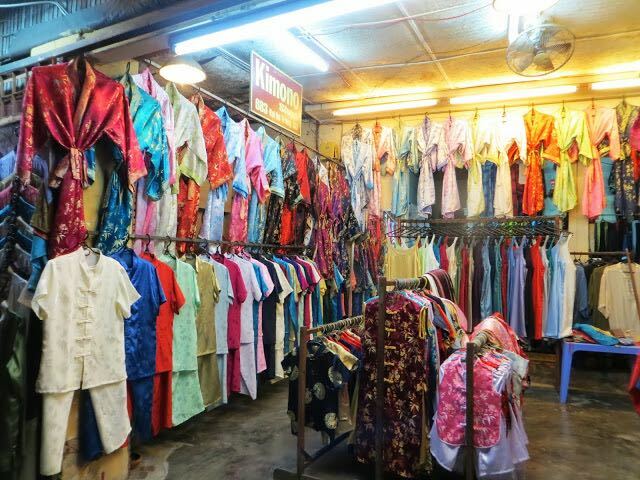 The main difference – the more expensive tailor was located on the main thoroughfare between the hotels and the old town. My tailor was a much smaller outfit (a two-cousin family business) and was around a 15-minute walk away from the main area. Was the more expensive shop more professional looking? Yes. Was the finish on the more expensive tailor’s superior? Definitely. However, after I placed my order the older cousin threw her arms around me in thanks. It always feels good to think that your spending can make a difference to a family’s life, even in a small way. With a small handful of exceptions, Vietnam is one of those countries where you need a visa to enter. ii) and the fast and cheaper way (applying online for a visa approval and getting your visa on arrival). I’ve used both and I highly recommend the latter option as it’s easier, quicker and often cheaper (even after you pay the Visa agency fees). I used Vietnam Visa Pro and found them efficient, hassle-free and fast. They did submit a bulk application so my name, date of birth and passport number appeared publicly on a letter they sent out to around 10 other applicants, which isn’t great. Lonely Planet recommends: www.vietnam-visa.com and I’ll be trying their service next time I visit. The first time I visited Vietnam, I travelled from London, booked my trip enough in advance and only had the traditional application process as an option, so that’s how I acquired my visa. For my most recent trip, however, the online application process had been implemented. With a lot of research and hesitation, I decided to give it a try and I can confirm that it worked. How it works: part of the concern with the online approach is that you don’t actually apply for a visa online, you apply for an Visa Approval Letter. Doesn’t sound too official, does it? However, it works and the process is completed on arrival when the visa is placed in you passport. In payment terms, the visa on arrival system is cheaper. Working from memory (which can be sketchy), the visa fee for a one-month, single-entry visa getting it from the embassy was around £60/$100 plus a fee to post my passport to the embassy and have it returned. The Visa on Arrival comes in much cheaper at around $10 for the approval letter and a $45 stamping fee on arrival. , but otherwise, I would recommend the company. 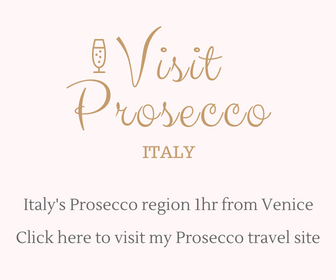 It’s also worth knowing that you need to submit your exact travel dates and that you cannot extend them (absent a quest for a rubber stamp and handing over a fee). Whatever you do, don’t turn up without either a visa or Visa Approval Letter. I met an English guy who did this and although there is very little in Vietnam that can’t be solved by handing over some dollars, fixing his non-visa issue ran to the tune of $200. Ouch! Hoi An is hot. And most of the tailors (even the high-end ones) don’t have a/c making the whole experience rather bothersome. I don’t know about you, but when I am melting, the last thing I want to do is have hands over me measuring my body and throwing extra layers of material over my sticky skin. 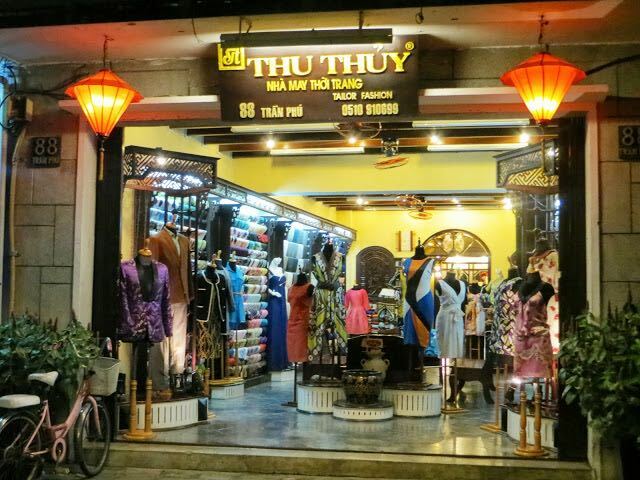 The good news is that the tailors in Hoi An tend to stay open until around 9pm meaning you can browse in the cooler temperature of the evening when you’re much more likely to make better decisions. 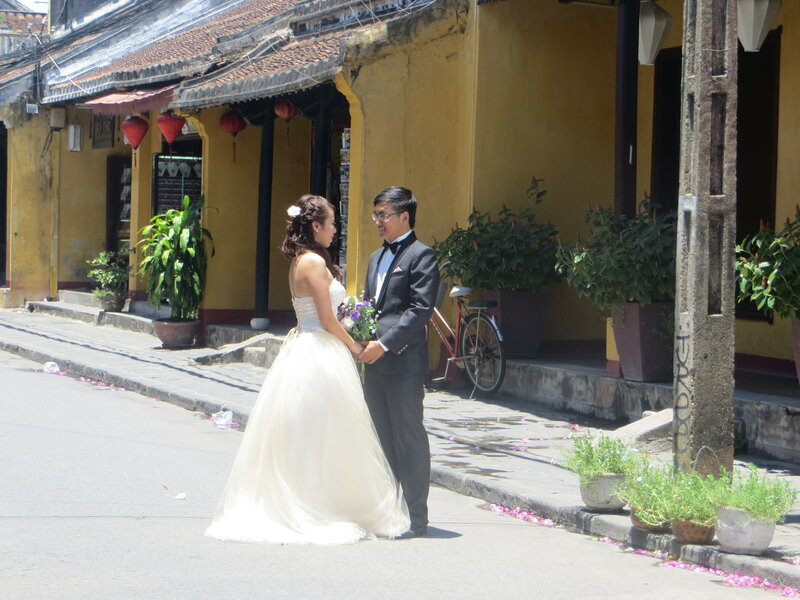 Some people head to Hoi An to get their wedding dress custom-made or to lavish themselves with deluxe frocks or quality suits. I, on the other hand, require practicality (clothes that can withstand industrial washing machines around the world and mix with a multitude of colours) and I don’t want to pay a lot for them. Whether the seams are perfect or the stitching exact is not my concern. Cost is my key motivation. The fact that the clothes fit my 5ft frame is a bonus. However, the bride to be and the business man faking a Jermyn Street suit are much more likely to want perfection. The point is – know which kind of shopper you are and pick your tailor accordingly. My family outfitters were around 90% there, with some stray cotton strands, but that was fine for me as my price was lower. If you want more, expect to pay it. 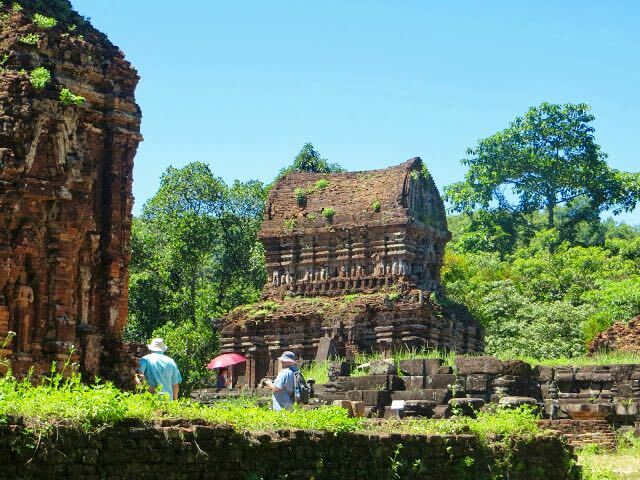 You’ll find a full range of tours in Hoi An on Viator. What to pay is always tricky. I usually have a budget in mind before I enter the shop and won’t go above (or much above) it. Ultimately, an item is only ever worth what you are prepared to pay for it. However, it is worth remembering that things are overall much cheaper in Vietnam and, if you barter hard, there are deals to be done. You should also discard the concept of prices back home. I paid £35 (around $50) for a North Face t-shirt in London because I liked the colour. Yes, it was over priced, but it was breathable material and I wanted it. The label tells me it was ‘Made in Vietnam’ probably for around $2. But I didn’t buy it in Vietnam, which is why I paid more. Likewise, I don’t expect to pay London prices in Hoi An. The most important point is to get an idea of price before you show even a glimmer of real interest. My tailor quoted $20 for skirts and $25 for dresses with increase in cost for lining and pricier materials. Once you establish a baseline, you can barter. 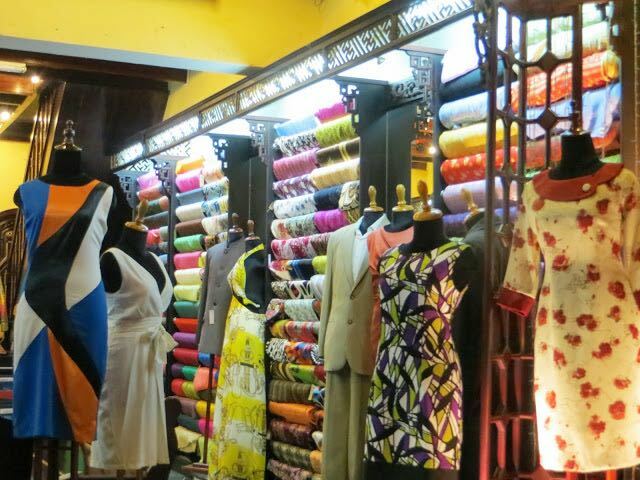 One word of caution on bartering – there is currently so much competition in Hoi An for tailors that many of the smaller businesses can struggle. If you are going to barter hard, make sure it is in the higher end places and that you’re not causing a family to work at a loss just to get some business. You will see many flowing silk-like materials in Hoi An but as pretty as they are, they are no more from the worm than tequila (sorry to break that illusion, too – tequila worms are a marketing ploy). If you’re happy with the synthetic material (I am because it’s more robust for travelling), that is fine, just make sure you don’t pay silk prices for synthetic. Equally, if you do pay silk prices, make sure you get the real deal. The question then, is how do you tell the difference? As a general indication, silk burns while synthetic material melts so ask your tailor if you can try a small swatch. A genuine tailor should be happy to oblige. Also, silk will have the same pattern all the way through, not a faded version on the backside. You order your suits or dresses at 9.30pm and are told to come back the next morning – it sounds great, but do a little social responsibility research. As much as you might slate big brands for their immoral labour practices, you want to make sure you’re not doing the same – causing local people to work through the night to deliver items that fit with your travel itinerary (along with the same demands of the previous 20 customers). It may be that larger, more expensive tailors employ night workers specifically to work just during the evening with proper breaks, but do some homework and ask the question (being sure to apply some suspicion to the answer). Better still, make sure you have enough time for your clothes to be made and avoid the issue altogether. I ordered my four items at 4pm from an otherwise quiet shop and was told to come back for my fitting at 7pm the next day. That felt about right. It can be disappointing when you try your items for the first time and they are not right, but that is quite common and the purpose of the fitting process. If something isn’t right, tell your tailor (politely) and talk about fixing it, whether it is leg length, tightness or even overall style. One of my dresses wasn’t quite what I wanted or expected. However, it would have required a complete re-do to bring it back to what I hoped for. On this occasion, I chose the wrong material and the tailor didn’t quite deliver the cut so a 50:50 responsibility. I’m not so fussy and will wear the dress. However, the tailor knew I wasn’t satisfied and she did offer to completely re-do it, which I appreciated and, if you have higher standards than me, I’d suggest considering this, particularly if you are spending a lot (do ask, but usually the original item can be reused or resold in some way so is not entirely wasted). However, I liked my ladies so much I didn’t want to leave them with a dress that, for the price, I can wear. Instead, we agreed a small ($2) discount, that we were both happy with. Most importantly, you should never pledge to get any imperfections fixed at home. Not only will it cost you more, you are less likely to follow-up when you don’t have a tailor in front of you. Speaking of ‘I’ll get it fixed when I get home’ I did declare this the first time I got clothes made in Hoi An because I fell prey to the follow-up order. Very pleased with my first purchases of a dress and two skirts, I ordered a second dress. In theory, the tailors had my measurements and the second dress I was ordering was of a similar style to the one I’d already ordered, with the same material, just longer. Unfortunately, the follow-up dress was no better fitted than the first round of items I ordered meaning I needed two more fitting to get the dress right. The problem I had, which is a common problem with follow-up orders, is that they tend to last-minute orders just a day or two before you’re due to leave. The tailors will often promise that there is time, but the reality is that the process is rarely quicker on follow-up orders and you are therefore likely to head home with a list of amendments that could significantly increase the cost of the original purchase. “Lady, you buy/you come in my shop?” If I had a silk-worm for every time I’d heard those phrases, I’d be able to open my own (multi-storey) shop in Hoi An. With competition fierce between the saturation of shops, it can start to grind when you stroll through the once placid streets of Hoi An and get constant hassle to purchase. Add motorbikes beeping every few seconds and your patience can wear down pretty quickly. Even with my deepest meditative breathing it was necessary to take a stop every so often to sit under a fan, sip a coffee and simply be. Just make sure you don’t sit near the front of a café as the hawkers will find you! With enough time and patience, it’s possible to leave Hoi An with a set of unique clothes that you love. I recently wore one of my dresses in one of London’s trendy Shoreditch bars and had three people comment on the my new frock, particularly how well it was cut and fitted me. Being 5 ft tall, that doesn’t happen very often, so my trip to the tailors in Hoi An was worth it for that alone. 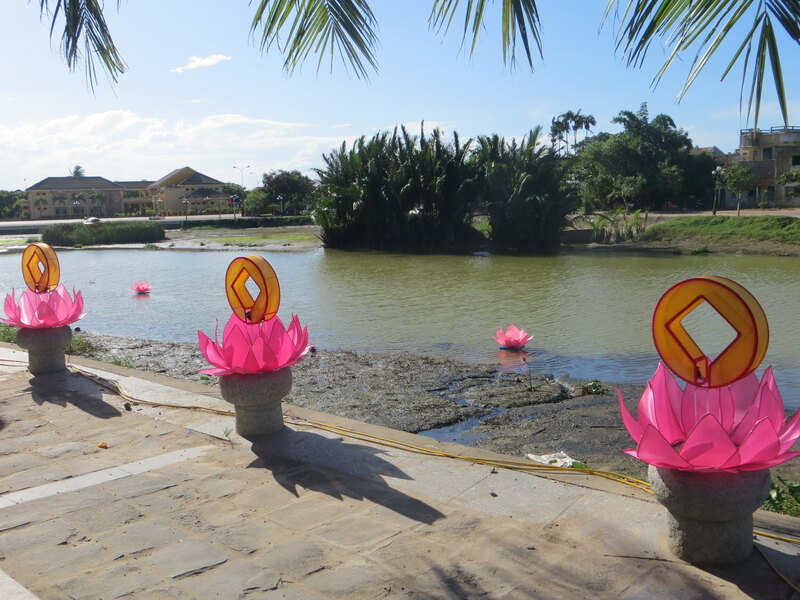 Have you ever been to Hoi An? Any other tips to share? I am writing from Oregon. 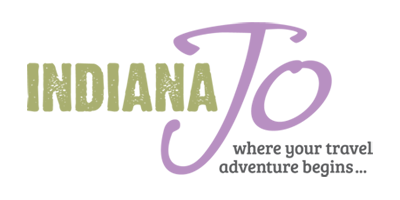 I want to replace a few articles of women’s cotton silk clothing that were made by a family shop in Viet Nam, which I believe has gone out of business. The items are similar to those in the above photo UNDERSTAND SILK. I would appreciate the name of that shop or the shop you used to have your clothes made. The items were originally made for Australian BBizarre, American Sundara, UK Pink Saalu. I have pictures of the cotton/silk mixture in white & black and can supply pictures of the items. I would be also be interested in buying the fabric. Hi Jacquelyn, I’m afraid all the details I have are in the article. However, I don’t think it would be too hard to find a reputable Vietnamese tailor by doing some research online. I’m heading back to South East Asia in January and if I make it to Vietnam, I’ll try and do some checking for you. Good luck! I am in Hoi An now and things are not that cheap. I think if you want something custom, you are better off going to Bangkok. The astronomical rise in the US dollar has made everything more expensive here! Plus the suits do not really look good. Hi Phu, thanks for the feedback. Prices have risen in recent years but I think there are still deals to be had, particularly if you’re visiting from somewhere like Europe or the USA and don’t have a stop planned in Bangkok. It’s often a case of looking around to find the best price and fit. Thanks, Linda. Glad you found it helpful. Hope you get something nice! Have a great trip!